The $3 million grant will be used to expand and enhance the coalition’s work to study the feasibility of a mileage-based user fee in a multi-state environment. The I-95 Corridor Coalition, with the Delaware Department of Transportation, was awarded a federal grant to continue exploring whether a mileage-based user fee is a long-term sustainable transportation funding option. "After a successful pilot in 2018, we are excited to use this grant to expand the pilot program as we continue to learn and answer questions about how a mileage-based user fee system would work in Delaware and surrounding states," said Delaware Secretary of Transportation Jennifer Cohan. 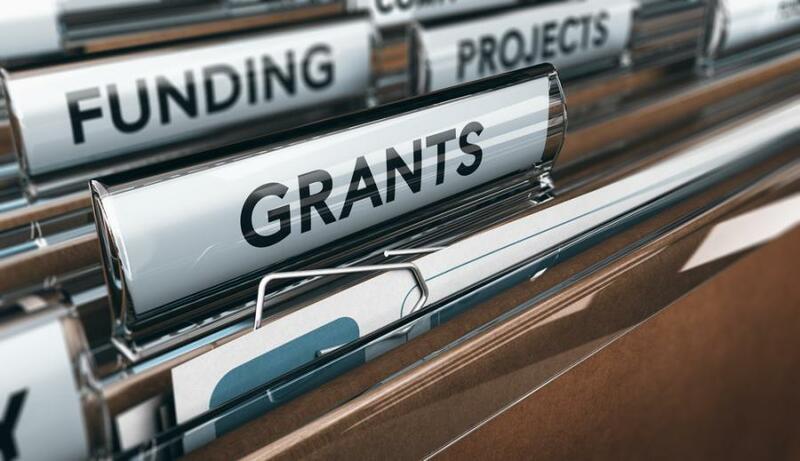 The $3 million grant is part of the U.S. Department of Transportation's Surface Transportation System Funding Alternatives (STSFA) Program and will be used to expand and enhance the coalition's work to study the feasibility of a mileage-based user fee in a multi-state environment. "There is a national conversation under way about how to fund the transportation network in the future," said Patricia Hendren, executive director, I-95 Corridor Coalition. "While the coalition is neutral on whether a mile-based user fee is the ultimate solution for transportation funding, this grant enables us to take the conversation to the next level and help ensure the unique characteristics of the East Coast are reflected in the potential solutions." "Infrastructure is the backbone of our economy. As vehicles become more fuel efficient and the cost of materials that we need to maintain our nation's infrastructure increases, we must look into new ways we can generate revenue for our roads, highways, transit systems and bridges," said U.S. Sen. Tom Carper, top Democrat on the Environment and Public Works Committee in the U.S. Senate. "This grant award will continue the research being conducted in our region on a ‘vehicle miles travelled' approach so that we can be prepared for the day that more cars and trucks are powered by something other than gas or diesel, yet still have funding to keep our roads safe and efficient." "As we look to close our nation's $1.5 trillion infrastructure gap and as cars become less reliant on gas and diesel, we must find new and innovative ways to generate revenue to invest in our infrastructure and maintain our roads, highways, and bridges," said Congresswoman Lisa Blunt Rochester. "By conducting research now, we are laying the groundwork for what our future looks like without fossil fuels. This grant award plays an important role in determining what that future looks like, and I look forward to the results of the ‘vehicle miles traveled' study." In line with the STSFA program objectives, the coalition's work will focus on bringing real-world mileage-based user fee experience to the public through demonstration pilots. Taking a deeper look into the public's perception and understanding of how a mileage-based user fee might work, this phase of the study will provide key insights to policy-makers. It also will explore additional functionality, such as features that provide added convenience to drivers, and examine potential barriers to implementing a mileage-based user fee. The coalition's work in this phase will extend geographically beyond Delaware and Pennsylvania to include North Carolina, New Jersey and Virginia. Through expanded private-sector partnerships, the coalition also will leverage the international transportation expertise of Transurban — operator of Virginia's 95 and 495 Express Lanes — and will engage EROAD's extensive experience with the freight industry by conducting a larger multi-state truck pilot to better understand the motor-carrier needs and viewpoints. The I-95 Corridor Coalition has developed a website, www.i95coalitionmbuf.org/, to inform and answer questions associated with the mileage-based user fee study. There are many issues to address before any potential transition from the current transportation funding approach to an alternative system takes place and significant education and outreach will be essential. The I-95 Corridor Coalition is a partnership of transportation agencies, toll authorities, public safety and related organizations along the East Coast, from Maine to Florida. The coalition provides a forum for key decision makers to address transportation management and operations issues of common interest. This volunteer, consensus-driven organization enables its myriad state, local and regional member agencies to work together to improve transportation system performance far more than they could working individually. The coalition has successfully served as a model for multi-state/jurisdictional interagency cooperation and coordination for more than two decades.